On May 22nd, Wang Wenyin, Chairman of Amer International Group, led a delegation to visit Nanjing city. 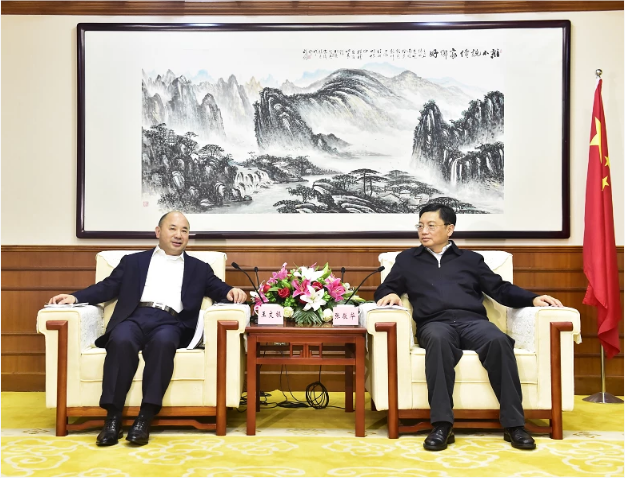 He was warmly welcomed by Zhang Jinghua, member of the Standing Committee of the Jiangsu Provincial Party Committee and Secretary of the Nanjing Municipal Committee. 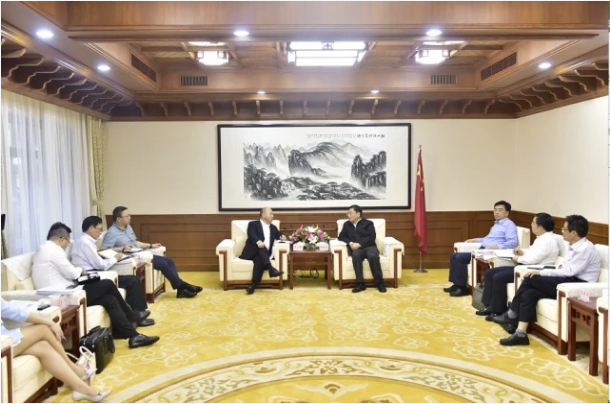 The two parties held a discussion on the social and economic development, investment cooperation in Nanjing and reached a preliminary intent on cooperation. 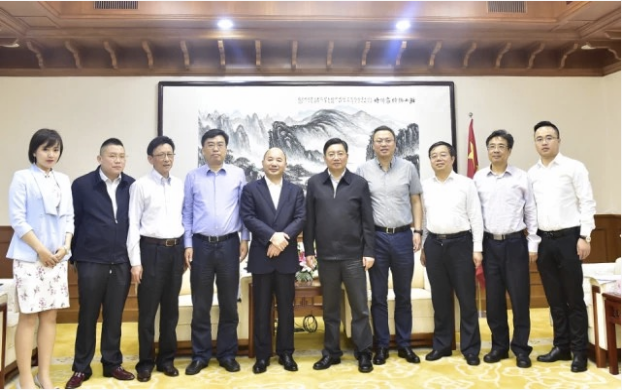 At the forum, Secretary Zhang Jinghua on behalf of the Nanjing Municipal Party Committee and Municipal Government welcomed the arrival of Chairman Wang Wenyin and his delegation. He thanked Amer Group for paying attention to Nanjing and supporting Nanjing's economic construction. He highly praised the brilliant achievements of Amer Group and praised Chairman Wang Wenyin as an outstanding entrepreneur with social responsibility. 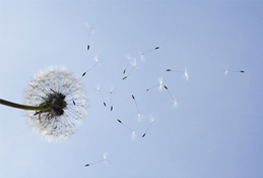 Amer Group is the benchmark for Chinese private enterprises. Secretary Zhang Jinghua hoped that Amer Group actively participated in the new round of urban development in Nanjing city and cooperated in the fields of technological innovation, electronic information, artificial intelligence, new energy, medical health, and cultural industry. He also said that Nanjing will continue to optimize the business environment and provide the optimal policy environment, government environment and rule of law environment for Amer Group’s project development in Nanjing. We look forward to working together with Amer Group and create a bright future for Amer Group and Nanjing. Chairman Wang Wenyin said that Nanjing is a city that represents the future, so we chose Nanjing with the hope of laying out the industry in Nanjing and further development. In the future, Amer Group will also place the global manufacturing center, regional headquarters and R&D center in Nanjing to provide a continuous driving force for building Nanjing into a city with global influence. 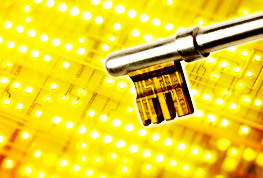 Amer Group will play the world's top 500 brand advantage, research and development advantages, technological advantages, talent advantages and concept advantages, and further cooperation with Nanjing in the project of light quantum chip, large energy projects, medical health projects, and cultural industry projects.